The key to organizing a successful blood drive is recruiting donors. 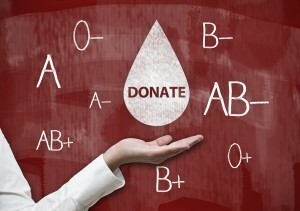 People will respond positively to the idea of donating if the information is visible and the blood drive is accessible. Once these critical criteria are met, it is crucial to recruit and schedule donors. Blood drive coordinators and committees have found that the most effective recruitment method is personally inviting people to donate. For example, if a group of people pass by a blood drive poster, it is unlikely that they will feel compelled or motivated to donate. Some of these people may think it sounds like a good idea, but put the message in the back of their mind for the time being. However, if these same people are personally invited to donate, they will remember that they saw a poster or email publicizing the event and that they they thought it was a good idea. The personal invitation acts as reinforcement, and it is likely that some of these people will schedule appointments to donate blood. Flyers, Memos, & Emails – Distribute these to all members of your organization. Notices, Banners, Posters – Hang up posters, banners, & notices in visible locations. Announcements – Make announcements to members at meetings and over public address systems as well as your internal social media outlets. Sign-up Sessions – Recruit donors by setting up a table in a high traffic area where potential donors may pass and ask staff / members of the organization to sign up for an appointment. Send out emails to regular donors encouraging them to sign up to donate blood and bring a friend who has never donated blood before. Get Creative – Recruiting can be educational, fun, and a way to bring teams together. Ask if there is anyone in the organization who has used blood and would share their message to the organization to encourage donors. Offer a special drawing for a special parking space for a month, a special lunch with the boss, or a day of P.T.O. Anything will add to the drive and provide a way for people to join in. We all fear the unknown. Potential first time donors are often afraid the procedure will hurt. 90% of first time donors feel their donation was personally rewarding and did not experience any discomfort. Assure the individual that the donation experience is safe and simple and will save lives. If someone emphatically turns you down, respect that. Sign-up your donors to time slots to help organize! A friendly reminder shortly before the drive will help your attendance. This is a great time to remind them to eat a hearty meal before donating, and to bring an ID with them! Recognize all of your donors with a thank you. You may also choose to recognize the new donors and/or donors meeting a gallon donation. Help navigate your Blood Drive! 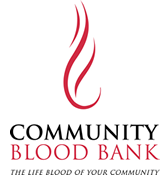 Setting up a blood drive requires commitment, a bit of planning, and attention to a few key points. Most of all it requires YOU! Learn about the importance of a blood drive publicity coordinator and how you can help your drive be successful.